Happy Hump Day, dear readers! I am currently in transit to Colorado to visit with my inlaws, and I am planning to get some work done! Vacation, you say? Nope! 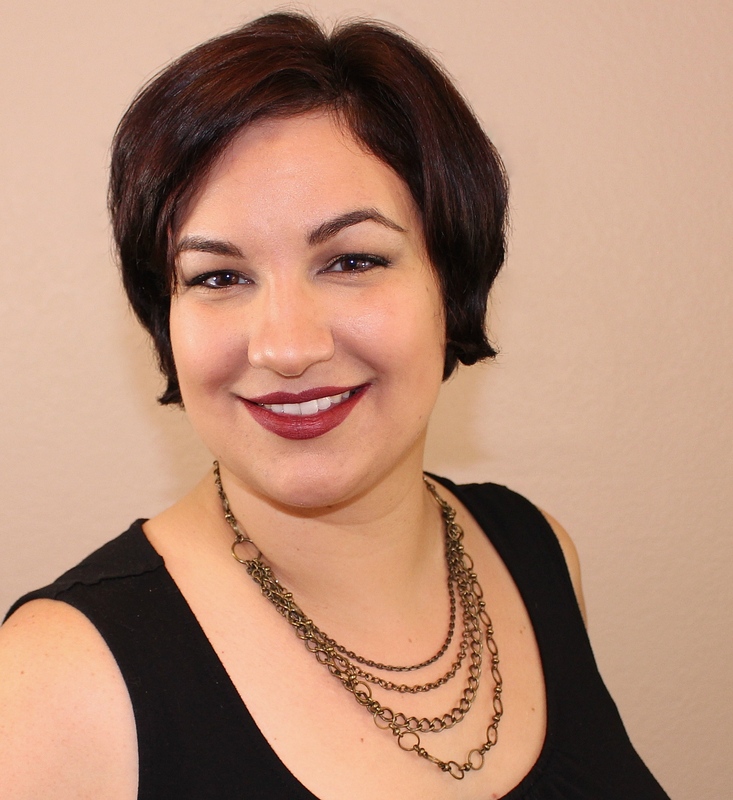 I'm far too eager to share my finds from Cosmoprof North America last month, and I hope you're just as excited as I am! Let's do this! I had debated on how I wanted to start my CPNA series since I had first planned to attend, but what I was originally thinking is not quite as this is going to be presented. I'm starting off with one of my finds that is a little different from my usual nail polish and makeup posts, but I think you'll find it to be just as fantastic as I did. 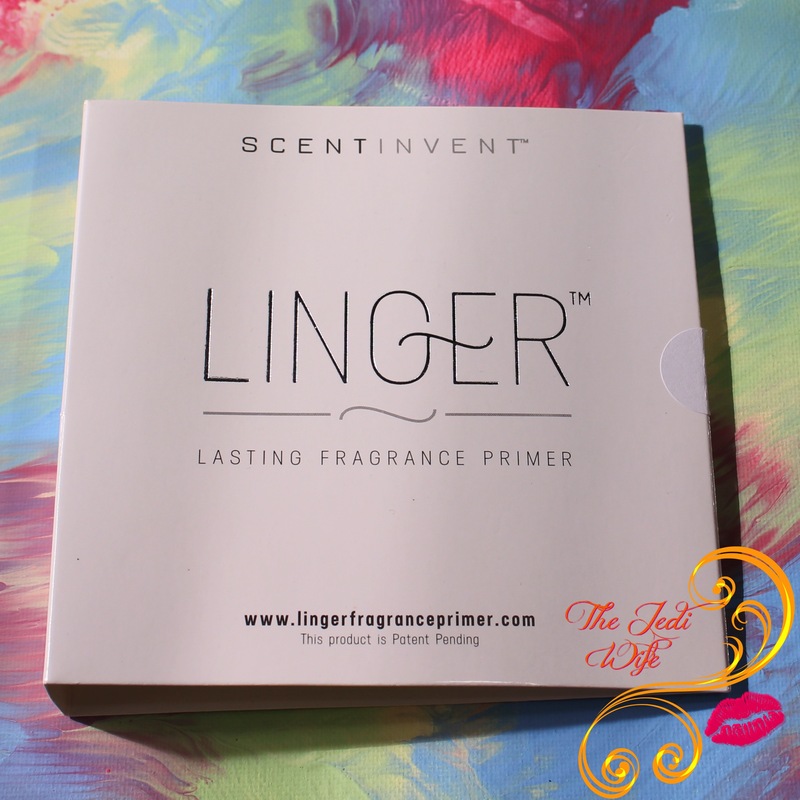 Brought to you by ScentInvent Technologies LLC, I am thrilled to present to you Linger, a one-of-a-kind lasting scent primer. Linger is an innovative scent invention that creates an invisible shield on your skin that preserves skin's moisture as it balances its surface for scent with lasting power. I enjoy wearing perfume, but it is infuriating when the scent dissipates so quickly. Linger helps your fragrances, well, linger longer on your skin. It has been clinically tested with 70% stating that their fragrance lasted longer and 66% stating that their fragrance lasted three to five times longer. Sounds impressive, right? Naturally I had to test it for myself! I was gifted a sample to try out, and I am thrilled with the results! My sample was a milky white liquid that I sprayed onto clean skin. My sample didn't spray this very finely to create a mist, but the full size product I tested at the show does create a nice light mist. I then rubbed it into my skin and topped it off with a perfume (another CPNA find coming up soon!). I can smell the fragrance on both arms, and the scent intensity appears to be equal. The arm with Linger has a more open and full scent whereas the arm with fragrance alone seems flat. While I can definitely still smell fragrance on both my arms, the arm with Linger is noticeably stronger. Wow, what a difference at 2 hours! It's definitely been building over time, but at two hours, there is a significant difference between the two. I don't think my fragrance will be lasting too much longer on my fragrance-only arm. As predicted, my fragrance-only arm is only the slightest bit scented. I can still smell it, but it is faint. I also have a rather keen sense of smell, and when I asked the hubby to smell my arm, he said he couldn't notice anything (in addition to giving me a "you're so weird" look). On my arm with Linger, the scent is subdued in comparison to when it was first applied, but my fragrance is certainly sticking around longer with the primer. My fragrance has faded on my arm with Linger, but I can still detect the scent easily. I can no longer detect the scent on my arm with perfume only. I'm impressed that I can still easily smell my perfume on my arm with Linger primer. The scent is slowly dissipating, but it is definitely present. Eight hours later and I can still smell my perfume on my Linger-swatched arm! I'm thoroughly impressed with this product! Linger is scheduled to launch this Fall at LingerFragrancePrimer.com. At this time, you can visit the website and place a pre-order for this fantastic product. Each 1.7oz / 50mL bottle retails for $30. This patent-pending product is sure to be a hit, and I am excited to see it take off! What do you think of a fragrance primer? Are you planning to try Linger? I'd love to hear from you! Dude, that's nuts! If I wore perfume I'd be all over this!! did you test it with eau de parfum or eau de toilette? I must have missed this booth at CP, but it looks like an awesome product! I had no idea a product like this existed. I'll have to keep an eye out for it! What a cool idea! I look forward to all your CPNA coverage. Gadget all the beauty! I love your testing results, wonderful review and what an interesting product! Fantastic review....super thorough testing. I love the idea of this. Your review is so indept I love it. Wish I could smell this haha. Very good detailed review, however this doesn't fall into my kind of taste. Thanks for actually walking through the results. These types of products sometimes seem gimmicky to me, but it sounds like it really works and would really make the money you spend of perfume go the extra mile. Great review.